Let me present you to my new idea. 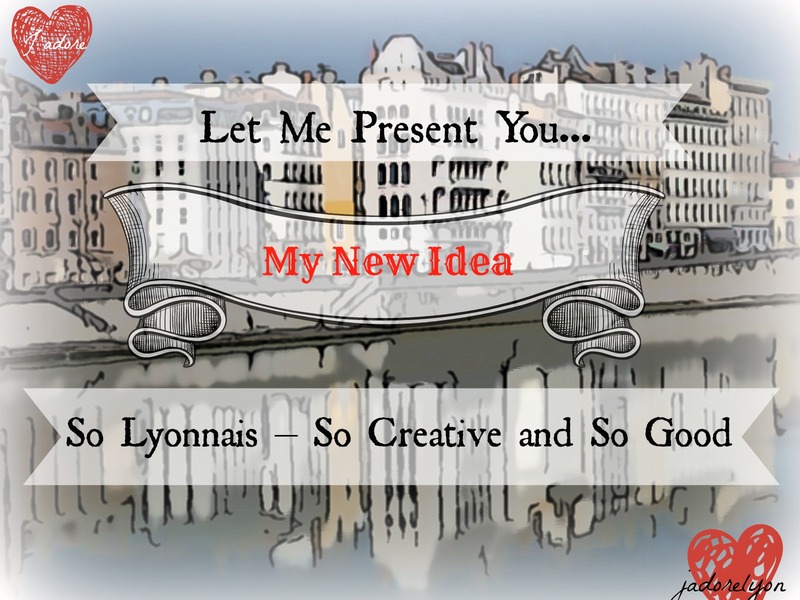 So Lyonnais – So Creative and So Good. Let me tell you quickly and shortly about my new idea. The new category I have opened at jadorelyon.com and I want it to be a regular feature on my blog. I hope you will like it and enjoy reading. If you have any feedback on how I could improve the section, what is missing or what is not necessary, feel free to contact me at aga @ jadorelyon.com. I always love to hear from you and I always love to improve…. On the other hand, if you are or if you know anything so Lyonnais…so creative and so good, any new concept, company, idea from Lyon, please contact me as well. I would love to have a closer look as well. And finally, what is all this fuzz about? 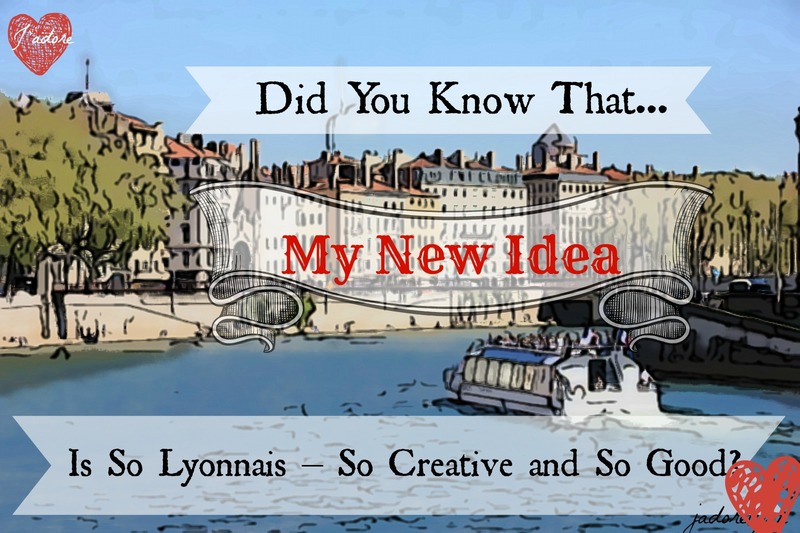 Well, while I have been discovering my beloved Lyon, I have noticed that the city is full of so creative and good innovators, Lyonnais who develop new projects, ideas. There are so many new startups, companies traditionally from Lyon that I want to shout out about it to the world. And seriously speaking, I appreciate what they do, I have a lot of respect for their spirit, determination, innovation and talent. That is why I think we should get to know them, listen to their story, learn from them and spread the world about them so others can get to know them as well. So what do you think? Is that worth a new category at jadorelyon.com, a regular feature? I am sure you are or will be interested to hear about all those so Lyonnais…so creative and so good, so new and innovative concepts, brands, startups & ideas developed in Lyon. I hope you will find it useful not only as a way to get to know Lyon and the Lyonnais but also as a way to be up to date with all the novelties and use them as long as they are helpful for you. Congratulations ! Keep on going ! A fabulous blog for Lyonnais ! Thank you so much! I love sharing my love and passion for Lyon with international people but also with Lyonnais. ALthough, I am a bit shy as Lyonnais know their city very well already…so i hope i can amuse them with looking at their city with a fresh & newcommer view. Great initiative. Waiting for the first focus. Thanks! The first one is scheduled and ready to go! I am very excited! Go on this way !